As a brokerage advisor focusing on the Route 128 Mass Pike market, I have the pleasure of working in a great office environment with an extremely professional and experienced team. I am grateful for having been given the opportunity to join the team back in 2015 and have since taken it upon myself to learn the ins and outs of the ever-changing real estate industry through a combination of client interactions, colleague mentorship, and other educational ventures. Though I work with tenants as well, I focus most heavily on landlord representation assignments, which as a result has quickly broadened my awareness of suburban product – competitive and otherwise – and granted me a holistic view of the overall composition of suburban tenant demand. I developed an early interest in commercial real estate since my family works in the project management side of the business, and have always kept that interest in perspective as I pursued applicable studies at DePaul University and even took on a summer internship with Colliers International to get an insider look at the business. My passion for real estate combined with my competitive team spirit that had been nurtured by years of team athletics – including my entire four-year college career – ultimately made real estate brokerage the perfect fit. Much like athletics, I revel in seeing the results of my hard work. Whether it is a fully executed lease document, a newly built out space, or the announcement of being awarded new business, I take pride in those victories and instantly begin working toward the next. Though I devote a lot of time to keeping up with changing aspects of the industry, in the opportunities I do take to relax, I can often be found reading, going for long runs through the city, and enjoying everything Boston has to offer. 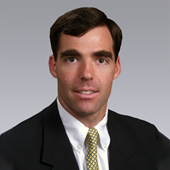 John Carroll, III joined Colliers International in 1993. He is an executive vice president and shareholder in the firm. 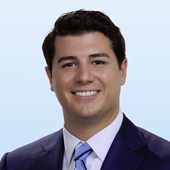 John has represented developers, institutions and companies in the leasing, sale, disposition and acquisition of real estate in the Greater Boston Metropolitan area. Throughout his career with Colliers International, John has represented numerous owners in the leasing of over 3 million square feet of space. In addition, he has completed over 200 tenant representation transactions totaling more than 2 million square feet. As a senior vice president on the Central 128 leasing team, tenants and landlords depend on me for candid and reliable advice as it relates to Boston’s central suburban real estate market. In a dynamic territory, comprising office, lab, flex and industrial space, I enjoy collaborating with my immediate team and other key specialists in the Colliers organization to strategize the best solutions for our clients. I began my career in real estate after first working at Welch’s Food Inc. where I was exposed to many different sides of their day-to-day business operations such as sales, analytics, and financials. Looking back, beginning my career on the corporate side ultimately provided me with critical insight into what drives many of our clients, and has allowed me to better understand their perspectives and goals, and advise accordingly. Although I have been in the business for over a decade, I appreciate the churn and overall evolution of the market that ensures constant opportunities to learn something new. Whether I am touring a building, viewing an upcoming project in the market, or meeting a client, each day brings with it a fresh and unique experience. When not in the office, I enjoy spending time with my wife and two young sons, especially participating in outdoor activities. Working closely with both landlords and tenants in the Route 128/Mass Pike (I-90) central suburban market, my clients have come to rely on me for my market expertise, responsiveness, and negotiation prowess, always advocating on their behalf for the optimal outcome. On the tenant representation side, I have experience working with a variety of industries, with a focused interest in the niche requirements of early stage life science, technology and 3D printing companies. I enjoy the challenge of finding a solution that balances location and economics, ultimately positioning organizations for growth and success. I became certified as a real estate salesperson while completing college at Salem State University, but I knew making the switch to commercial would offer the support of a large firm and a team based approach to sales. I began my career at NAI Hunneman in 2013 and joined Colliers International in 2016 where I am constantly inspired and motivated by the spirit of my colleagues and the energy of the Greater Boston market. With several years now under my belt, I continue to conquer challenges and appreciate new opportunities. Playing a vital role in helping companies fulfill their own real estate needs and ultimately prosper as a result remains the ultimate reward and motivates me to provide the highest level of service.